We join residents across South Texas and beyond in congratulating UTRGV for once again capturing the nation’s collegiate chess championship. The 2019 President’s Cup is a repeat win for the University of Texas Rio Grande Valley, which was the defending champ. 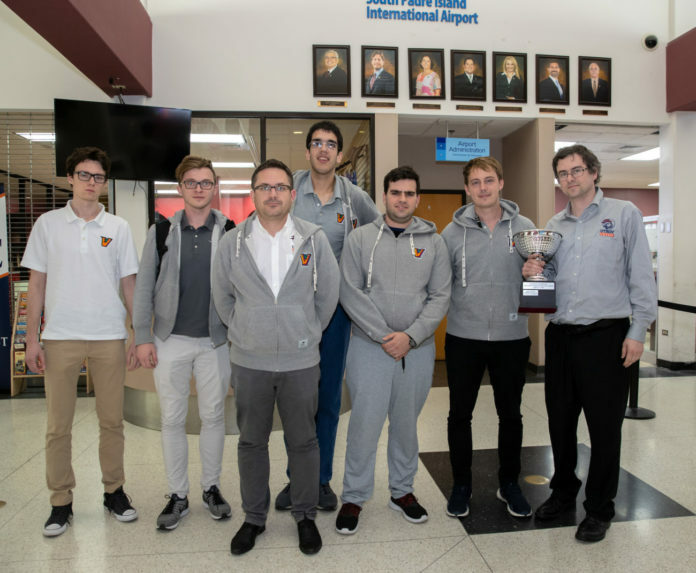 Although the 2018 cup was the local university’s first, UTRGV has long been a national chess powerhouse and a regular qualifier for the Final Four of Collegiate Chess. The tournament was held this past weekend at the Marshall Chess Club in New York City. UTRGV won the cup by defeating six-time champion Webster University in the championship round, after winning earlier rounds against UT-Dallas and Harvard. That’s right — the Valley’s university can brag that it beat Harvard, one of the nation’s most prestigious schools, in one of the world’s most celebrated mind games: chess. Our local university’s success extends more than a decade, and is the result of years of planning and hard work. It began with the decision by the leadership of what then was UT-Brownsville and Texas Southmost College to capitalize on the national attention garnered by Brownsville elementary school chess players. The university offered scholarships to top chess students, hired strong leadership that includes Grandmaster Bartek Macieja to coach the team, and recruited from among the world’s top student chess players. The championship-winning team includes students from Russia, Armenia, Poland and Paraguay. The ability to attract such talent from across the globe is testament to the program’s quality and success. Officials maintained their commitment to the programs through the merger of UTB and UT-Pan American in Edinburg to form UTRGV, and they deserve credit for doing so. National and international recognition for academic achievement, especially something as cerebral as chess, can only benefit the university, as it helps attract more of the nation’s top students. In this manner it offers the same benefits as having successful sports programs. Sending our team out to other venues to compete and succeed draws attention to the team, and also the university that sponsors and prepares it. It also helps build pride and loyalty among the students, alumni and the community it serves. And it can’t be denied that such loyalty can inspire donations and sponsorships that can help finance new programs, facilities and research that can further benefit the South Texas community and provide new opportunities for our students. We hope our young chess masters and the university at large enjoy this noteworthy achievement, although all too soon they will have to start preparing to defend their state title this fall at the Texas Collegiate Super Finals. We congratulate the UTRGV Vaqueros on this championship and its successful chess program, and look forward to cheering them on to further success.